Lying is unbearable, betrayal is inevitable, and choosing which path to take is impossible. Olga Gay Worontzoff ended her senior year as an eighteen-year-old girl totally in love with Nate, enjoying their new romance and about to attend the university of her dreams. Now she's spending her summer in the weird subculture of the Underworld, with charmingly witty and powerful angels, and problematic demons, trying to rescue Connor, the best friend and secret crush she was unable to save during a freak accident. But Nate has other things on his mind, mainly Grace. She's their first assignment as joint spirit guides, and Olga's feeling hurt and jealous. His mysterious behavior has Olga questioning everything she believed about him and now she must decide whether to stick to their plan, or follow her heart. Unfortunately, a series of mistakes threatens everyone around her and plants Olga in the center of cosmic events much larger than she ever imagined. Only one thing is certain: the chilling truths uncovered during her journey will leave no one untouched. 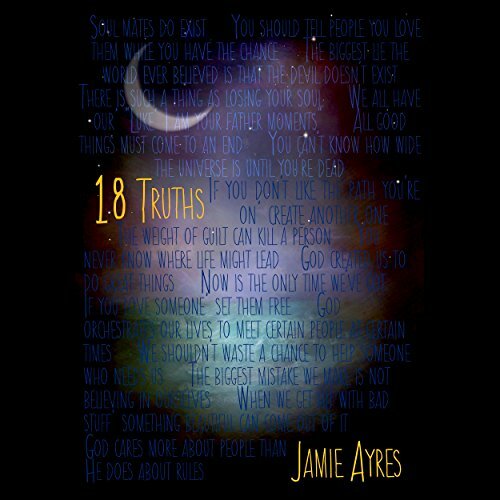 ©2014 Jamie Ayers (P)2014 Audible Inc. The book is good, Olga just really frustrates me with her selfishness and with who she loves more one sec. It's Conner more then it's Nate! Geez woman make up your mind already and go for.....Nate!